Escaping the ordinary is essential to keeping the flame alive, but you don’t have to travel far to get away from it all. 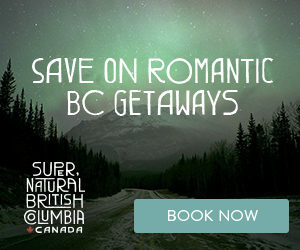 You and your sweetheart need only journey one province over to find ample opportunities to strengthen your bond: beautiful, wild British Columbia. 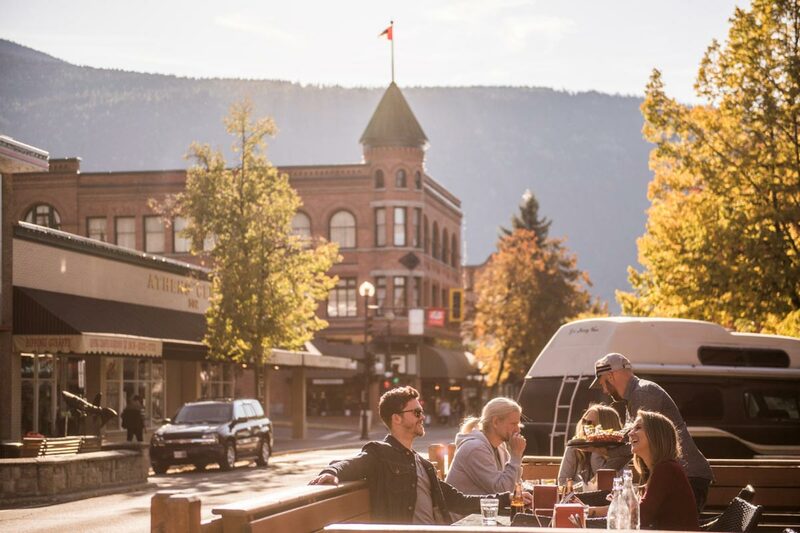 Whether you want to embark on a whale watching adventure in Northern BC, snowshoe through the Cariboo Chilcotin Coast, sip wine in the Thompson Okanagan or taste local dishes and brews in the Kootenay Rockies, there are endless ways to reignite your romantic flame. Here are four BC itineraries to get you started. Northern B.C. is a stunning region, replete with wilderness and wildlife as well as a gorgeous stretch of coastline. One can’t-miss area is Haida Gwaii: a storm-battered archipelago made up of 150 rocky islands. The region isn’t easy to access, adding to its appeal — especially for a romantic getaway. Stay at Copper Beech House in Massett, a cozy heritage B&B run by writer Susan Musgrave and her husband, where you can enjoy home-cooked breakfasts of fresh baked bread, yogurt, granola and local fruit preserves alongside beautiful harbour views. 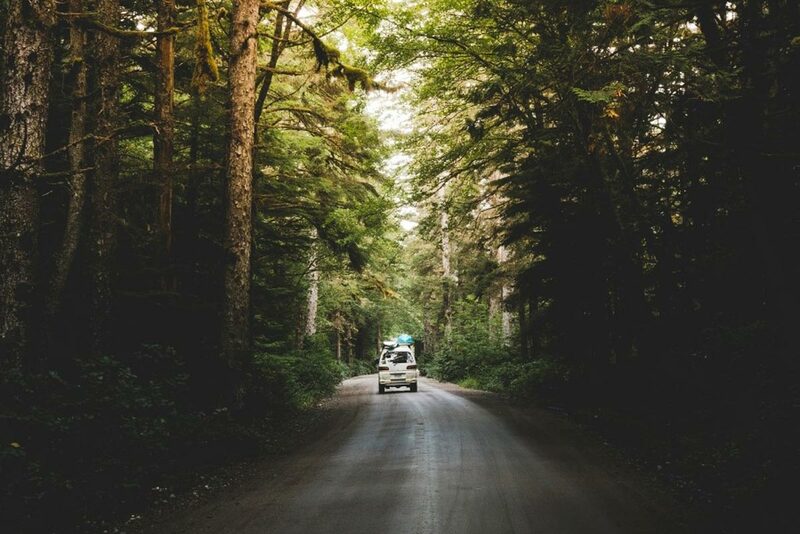 Once you’re done filling your bellies with delicious local eats, take the day to explore Naikoon-Agate Beach & Misty Meadows Provincial Park. The park is home to 100 kilometres of beaches, bountiful hiking trails and fishing opportunities and many historical sites. 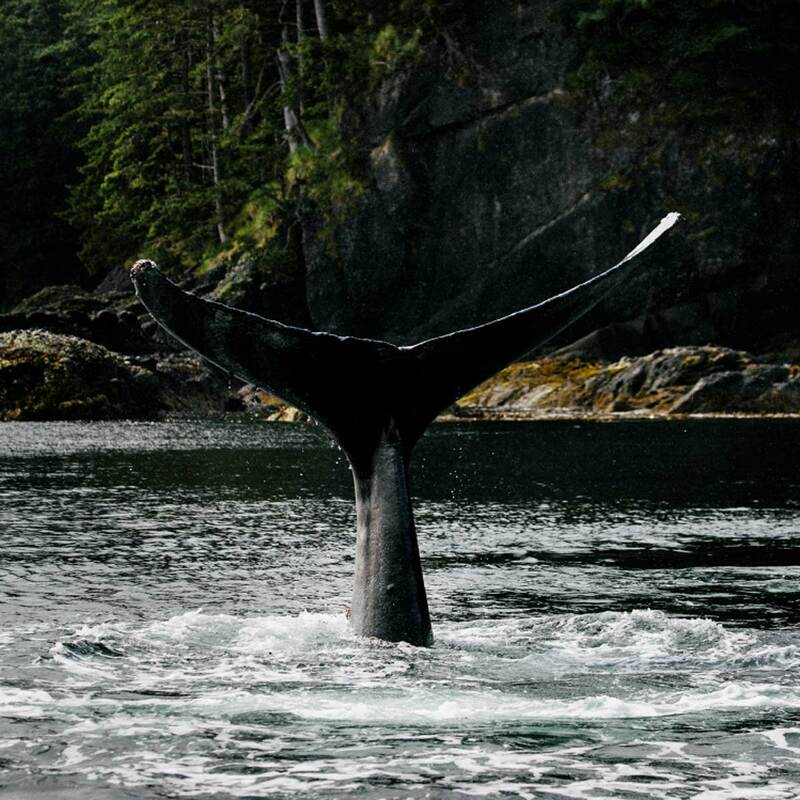 Take in the local Haida culture — and maybe even spot a whale or two. 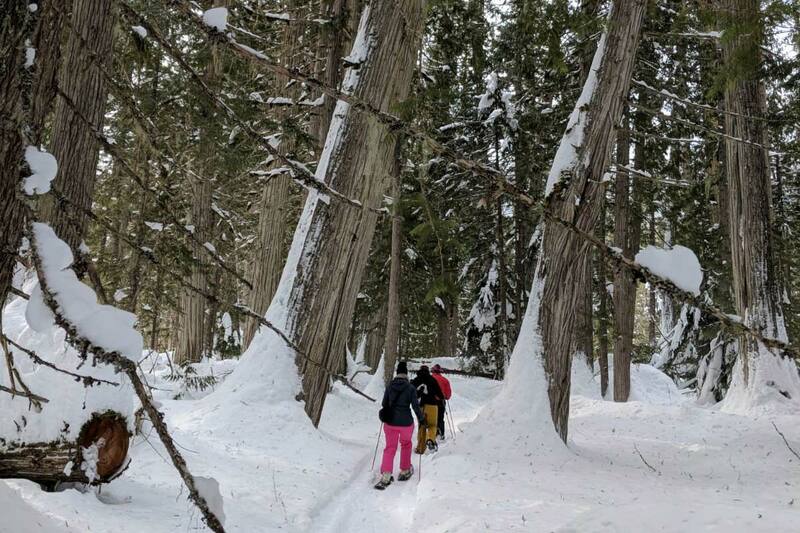 As the old adage goes, if you can walk, you can snowshoe — so why not set off for an outdoor adventure in the Cariboo Chilcotin Coast region? There are few better places to start than Wettstone Ranch. Explore the trails around the nearby Henley Lake and take in the natural beauty of the area, which includes forests, fjords, peaks and plains. Make your snowshoeing adventure extra romantic by packing a thermos of hot chocolate and a little picnic of your favourite foods. Remember to be prepared; AdventureSmart and Leave No Trace are great resources to help you get informed. A good rule of thumb is to follow the three Ts — trip planning, training, and taking the essentials. To make the most of your time in the Cariboo, consider booking a stay at Montana Hill Guest Ranch. This all-season ranch offers an escape from the bustle of urban life with its charming cabins, and an escape from the ordinary with its impressive range of activities: horseback riding, hiking, archery and billiards, to name a few. Cozy up with your sweetheart in front of a crackling fireplace and let the stress of everyday life melt away. 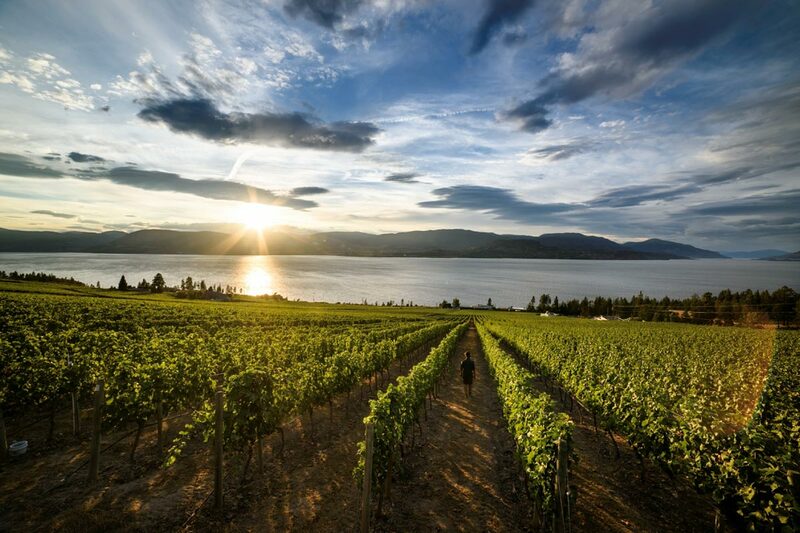 Book a tour with Experience Wine Tours for the ultimate Kelowna vineyard escape. Naturally, wine can’t be the only item on your itinerary, so schedule a romantic dinner for two at Bouchons Bistro, where you’ll be treated to classic French cuisine in an elegant yet laid-back environment. Then, check in for a restful stay at Hotel Eldorado, where in the morning you’ll be greeted by a postcard-worthy view of Okanagan Lake. If it’s true that the couple that plays together, stays together, then a trip to adventure-packed British Columbia may be just what the love doctor ordered. From rustic outdoor retreats to modern luxury tours, this province offers so many options for a romantic getaway. Now is the perfect time to start planning your trip for two.